Project EVA (Electronic Visibility via ADS-B) aims to demonstrate the improved flight safety that can be achieved as a result of increasing the electronic visibility of General Aviation (GA) pilots to each other and to air traffic control. This will primarily be conducted via demonstration flight trials of NATS ‘Low Power ADS-B Transceiver’ (LPAT) and ‘Traffic Awareness Beacon System’ (TABS) devices. Infringements into controlled airspace place a risk both to the infringer and other aircraft operating within controlled airspace. This project is exploring new ways to try and reduce the likelihood of infringements, thereby improving safety. The two year project will conduct flight demonstrations of LPAT and TABS in various GA operational scenarios during 2015 and 2016. 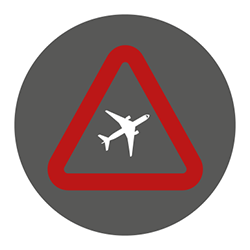 Aircraft Owners and Pilots Association (AOPA – UK), Trig, f.u.n.k.e Avionics, Eurocontrol.